1715 W Richardson Place, Tampa, FL.| MLS# T3158291 | Westchase Real Estate - Westchase FL Homes For Sale - Westchase Local Experts. 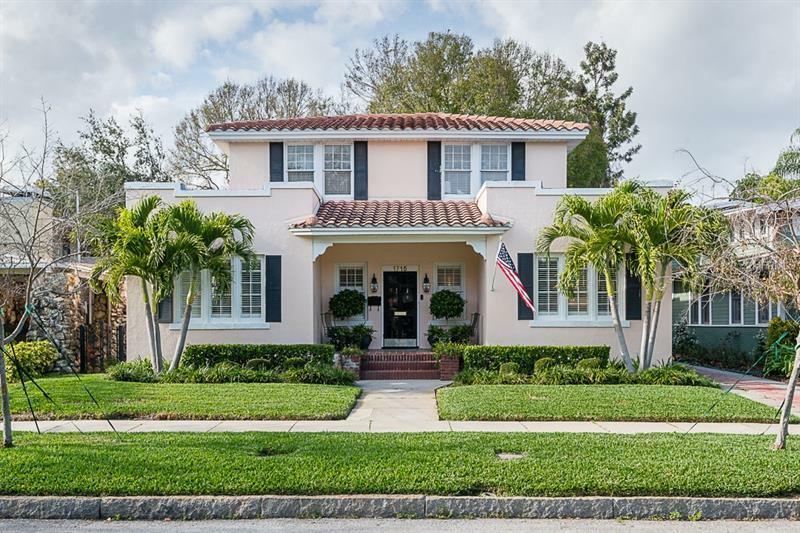 Just steps from Bayshore, this home is located on one of Hyde Park's signature streets. The welcoming covered porch leads to a delightful living room with fireplace, architectural detail, wood floors and French doors leading out to the spacious and charming back yard. This bright and light home has an elegant dining room with wainscoting. The cozy breakfast room has the original built in cabinetry. Kitchen was remodeled and boasts gas range, stainless steel appliances and Caesar stone counter tops. The family room/study adjoins the living room adding to its entertaining ambiance. One of the three bedrooms and an updated bath are downstairs. A covered back porch beckons as well as a brick patio and lushly landscaped back yard.